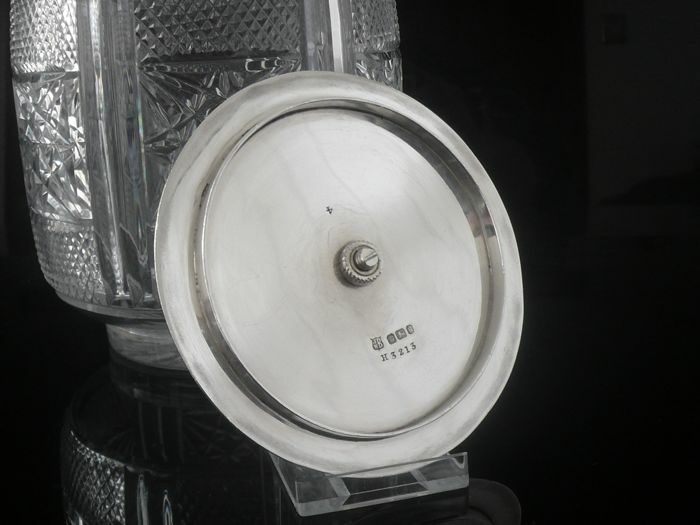 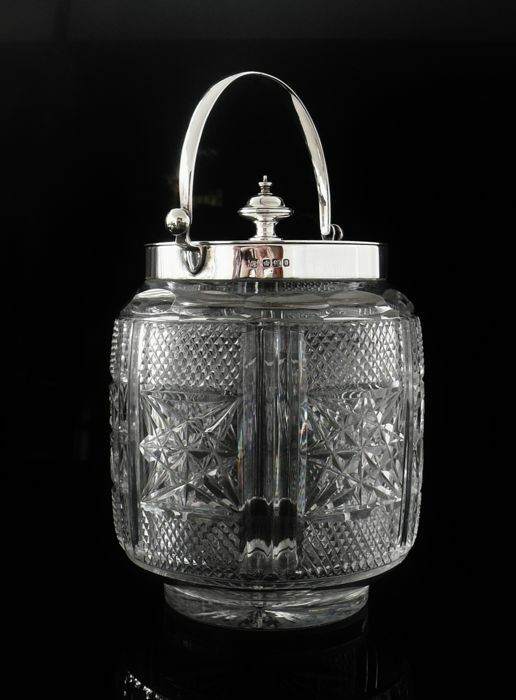 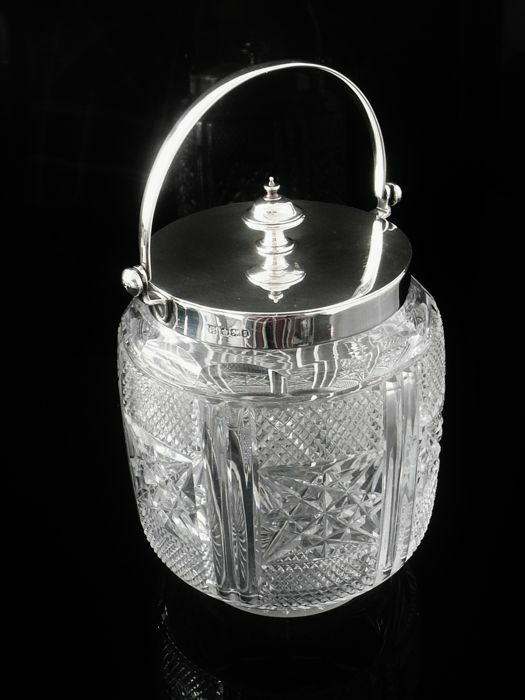 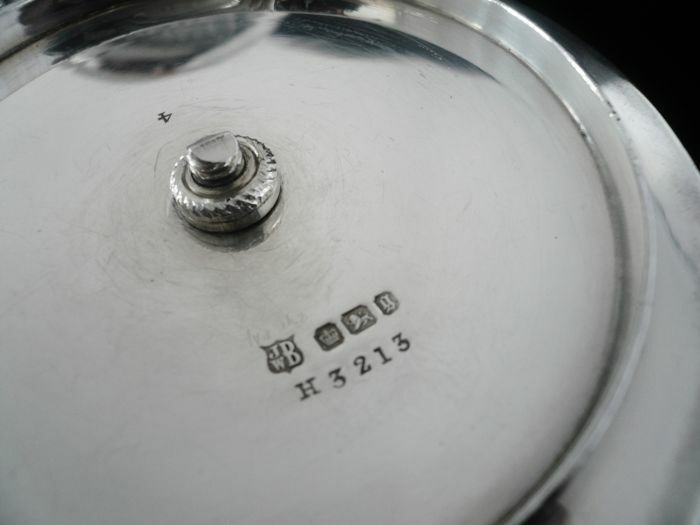 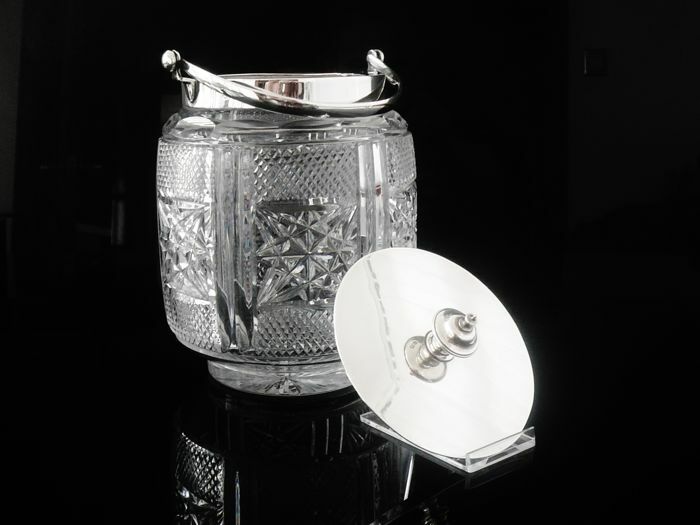 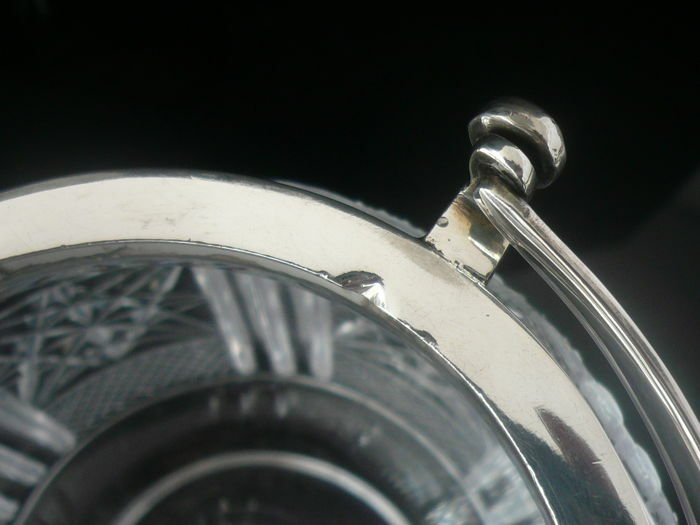 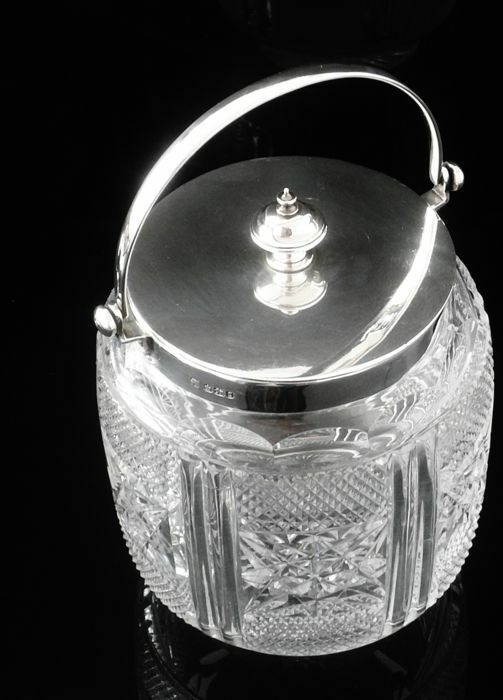 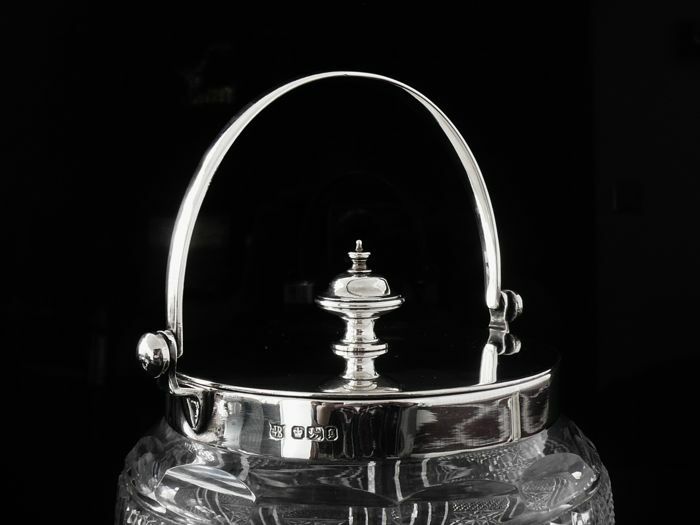 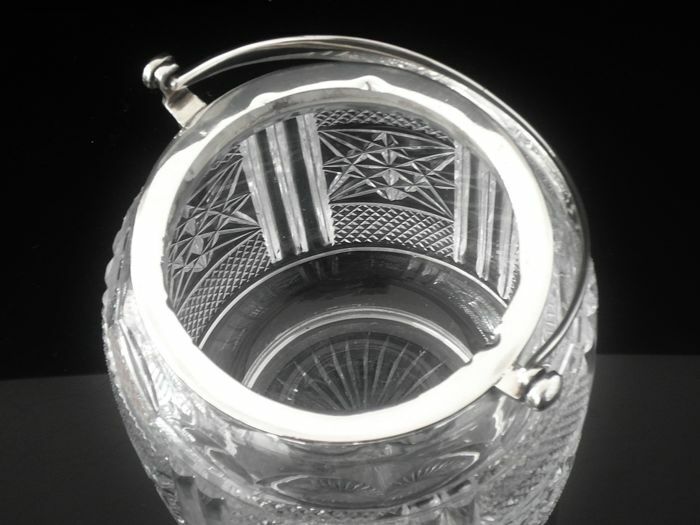 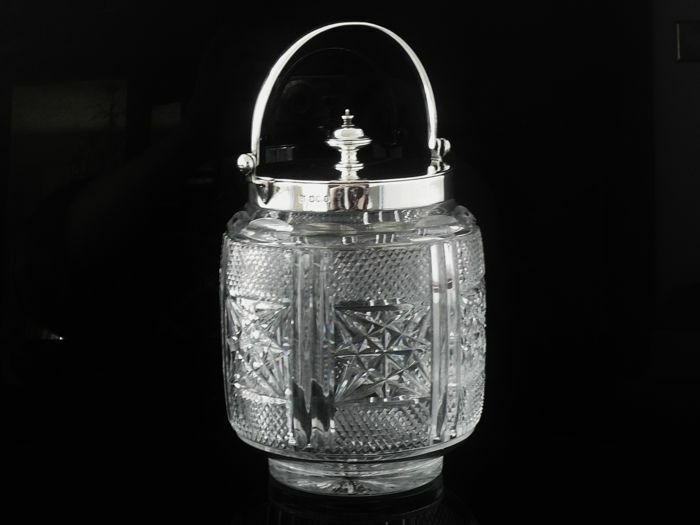 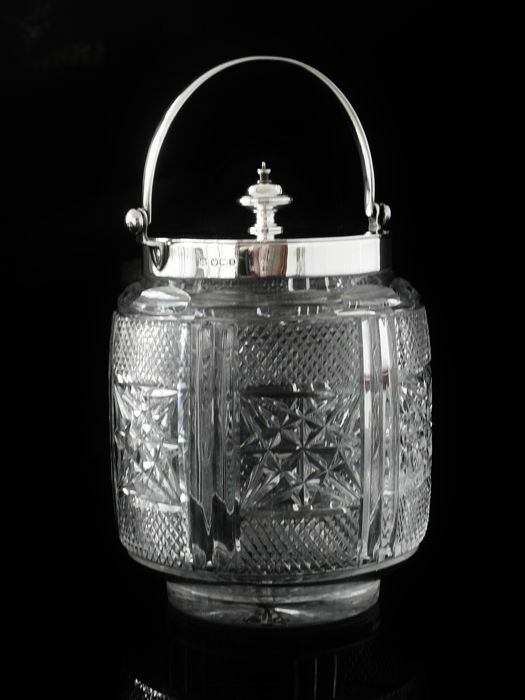 A quite magnificent English cut glass and sterling silver biscuit barrel by James Deakin & Sons (John & William F Deakin), hallmarked from Sheffield in 1899. 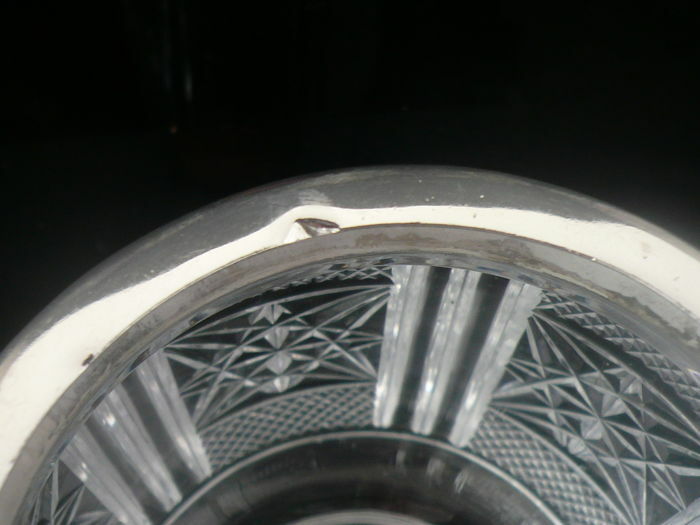 The glass is in perfect order, the silver top rim has a couple of minor dinks only seen when lid is taken off , nothing at all drastic. 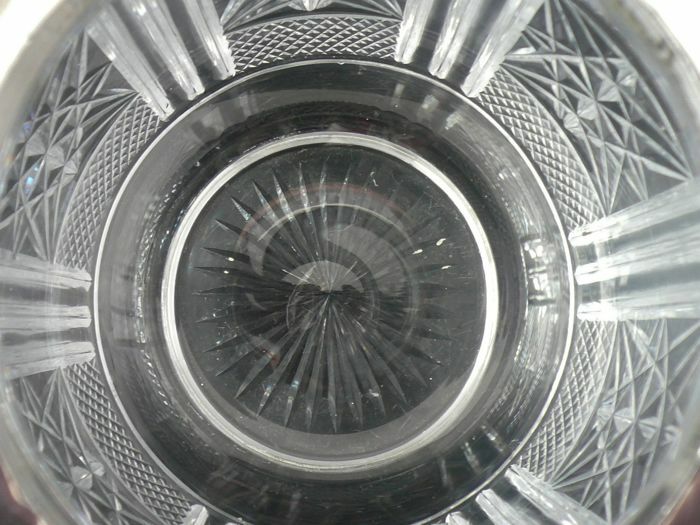 Super clean items ready to use or to display. 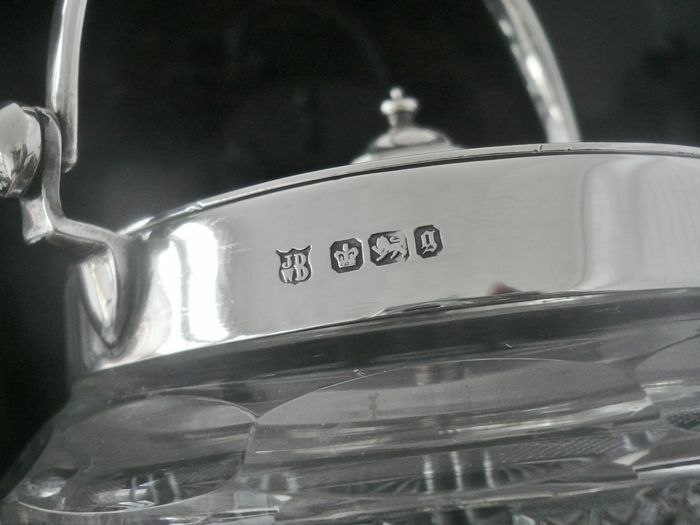 A super top quality piece.